Every year, the Kingdom of Saudi Arabia hosts the Hajj pilgrimage, which is the largest mass gathering in the world held on an annual basis. 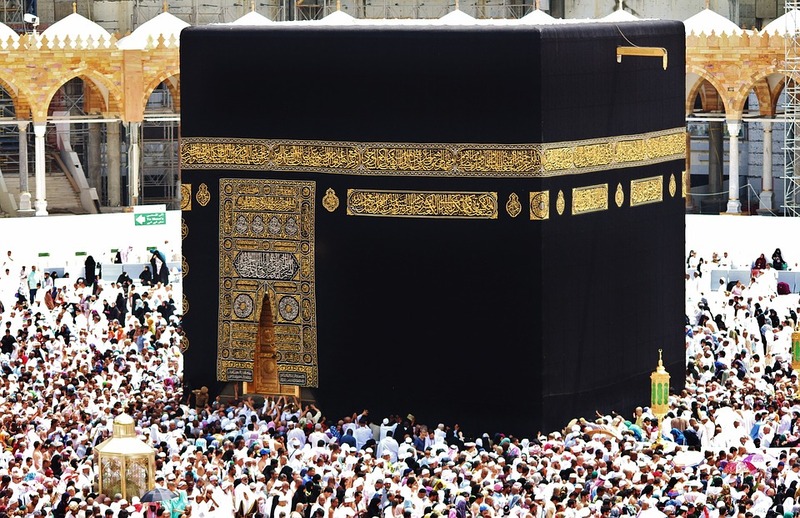 This year, Hajj will take place from approximately 30 August to 4 September. A further seven million pilgrims complete a ‘mini’ pilgrimage, known as Omrah, outside the Hajj period throughout the year. A mass gathering of this magnitude poses significant public health challenges, including the transmission of infectious diseases and exacerbation of non-communicable diseases. The various health risks do not affect only those pilgrims who travel to attend the Hajj in the Kingdom of Saudi Arabia but also has a significant impact on the health of the local. Out of the 2 to 3 million people coming to Kingdom of Saudi Arabia from over 180 countries for the Hajj, thousands come from low-income countries with minimal access to healthcare. In the past (19th and 20th centuries ) infectious disease outbreaks were common during Hajj, but local authorities have invested heavily in resources to contain communicable diseases and to prevent stampedes and related injuries. This is year an additional 22,500 health workers have been mobilized and have been placed at 8 hospitals in Makkah and Mina. These hospitals are equipped with state-of-the-art surgical wards and intensive care units specifically to serve the requirements of the pilgrims. All medical facilities offer high quality of care, and services are offered free to Hajj pilgrims to ensure that the risks of ill health to all pilgrims and residents are minimal. The following Health Risks should be taken into consideration during Hajj. Respiratory tract bacterial and viral infections spread rapidly and affect almost all pilgrims during Hajj. The spread of these diseased through coughing and sneezing is exacerbated by the crowded Hajj conditions – include community-acquired pneumonia, influenza, and tuberculosis (TB). While bacterial and viral pneumonia are well-documented causes of hospital admission in pilgrims, quantifying the increase in risk of TB transmission is more challenging owing to the longer time period between infection and the development of symptoms. The elderly and those with co morbidities such as diabetes are particularly vulnerable. Meningococcal disease caused outbreaks during Hajj in the early 2000s owing to overcrowding and high carrier rates of Neisseria meningitides among pilgrims. Acute food poisoning is common during the Hajj and is caused by toxins produced by Staphylococcus aureus and Bacillus cereu. Gastroenteritis due to Salmonella spp and viruses such as rotavirus and norovirus are common during Hajj. Factors responsible for increasing the spread of gastrointestinal diseases during Hajj include contamination of food through unhygienic preparation, prolonged storage of food, drinking from contaminated water sources, and a shortage of water for hand washing. The risks of dehydration are heightened this year because the Hajj occurs during summer months when Saudi Arabia experiences extremely high temperatures. Mosquito species responsible for the transmission of Malaria and the arbovirus that causes Dengue are present in the Kingdom of Saudi Arabia, although the country has been classified by the World Health Organization (WHO) as a low, geographically restricted malaria transmission area since 2008. Zika virus has not been detected in Saudi Arabia however; carrier mosquitos are present in some areas. Infectious diseases are always the major concerns but non infectious diseases should also be taken in consideration due to strenuous Hajj conditions or if regular medications are neglected during the spiritual activities. Diseases such diabetes, hypertension, arthritis, epilepsy, liver and kidney disease, are important causes of death; again health-related morbidity is exacerbated when Hajj occurs during the summer months. The risk of injury from fires has been reduced since tents were replaced with fibreglass and cooking in tents was prohibited following a fire in 1997, but the risks from stampedes and crush injuries remain due to the overcrowding. As the events of the falling cranes and the stampede in the 2015 Hajj illustrate, trauma can be a major cause of injury and death during Hajj. Furthermore, many pilgrims who walk long distances as part of the rituals invariably are injured by motor vehicles. A Saudi Arabia authority requires pilgrims to have the following vaccinations. Meningitis: Proof of quadrivalent meningitis vaccination will be required for pilgrims from every country, within a period of no more than 3 years and no less than 10 days before travel to Saudi Arabia. People arriving from Africa’s “meningitis belt” will be given preventative antibiotics on arrival to Saudi Arabia. Yellow Fever: Travellers coming from – or transiting through – countries with a risk of yellow fever transmission need to show proof of yellow fever vaccination received at least 10 days prior to arrival. yellow fever vaccine is in short supply. Polio: Travellers arriving from countries where polio poses a threat are required to show proof of a booster received within the past year and no less than 4 weeks prior to arrival in Saudi Arabia. All travellers from these areas will also receive 1 dose of oral polio vaccine at the borders on arrival. Seasonal Flu: seasonal flu vaccination is highly recommended before attending Hajj. Ensure all your ‘routine’ vaccinations are up to date (such as measles, mumps, rubella; tetanus, diphtheria, pertussis; varicella,). Other vaccinations, like hepatitis A and B, typhoid, and rabies may be required depending on your age and itinerary. Have a travel health consultation at least 6 weeks before you leave – in case you need any vaccines, boosters or, depending on your itinerary, medicines such as anti-malarial pills. Check that your routine vaccinations are up-to-date before travelling. Read our special bulletin on immunisations. Wash your hands often with soap and water or disinfectant – especially before eating or touching your face. Consider carrying with you a hand sanitizer. Choose safe food and beverages. Wash fruits and vegetables well. Ensure any meat is thoroughly cooked, choose dairy items made from pasteurised milk only. Prevent mosquito bites using effective repellent. Wear protective clothing when possible. Identify the risk for heat-related illnesses like sunburn and heat exhaustion, and take steps to stay hydrated and cool. On average each person should drink at least 1.5 liters of water per day. Avoid contact with mammals, as they can carry rabies and maybe MERS as well. Do not eat under-cooked camel meat or drink raw camel milk or camel urine. Avoid contact with sick people, including in health facilities. Sign up for Medilink’s weekly Health Alert service. Our weekly bulletin’s will alert you to health threats affecting the region that you are in. Seek medical attention if you develop a fever and/or respiratory symptoms (like a cough) that are moderate to severe while in the Middle East or within 14 days after leaving the region – try to minimise your contact with other people until you talk to a doctor or nurse. Consider wearing a surgical mask if you must be in contact with others. Ensure that you have a medical assistance and medical evacuation contract in place to cover you for any eventuality.